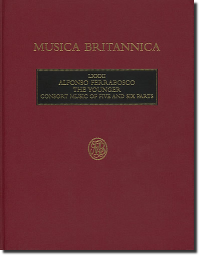 The rich store of music in this volume includes the In Nomine 'Through All Parts', the 'Dovehouse Pavan', the four- and five-part hexachord compositions with their radical and exploratory modulations, Ben Jonson's A Hymn to God the Father in a four-note ostinato setting, tuneful almains, and the four-part version of 'On the Hexachord'. A set of string parts for the five-part pieces (Cat. No. H443) are now available. Compatible parts for the six-part pieces edited by David Pinto are already published and are available. First published in 2004. Hardback.